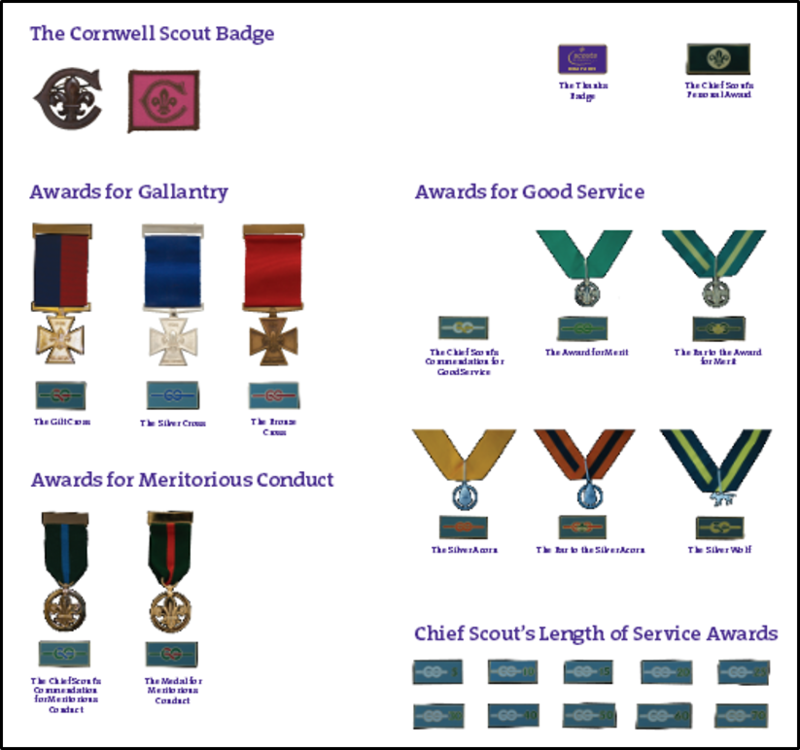 Good service awards are made to those whose contribution to Scouting stands out and the citation should seek to explain and evidence how this is so. 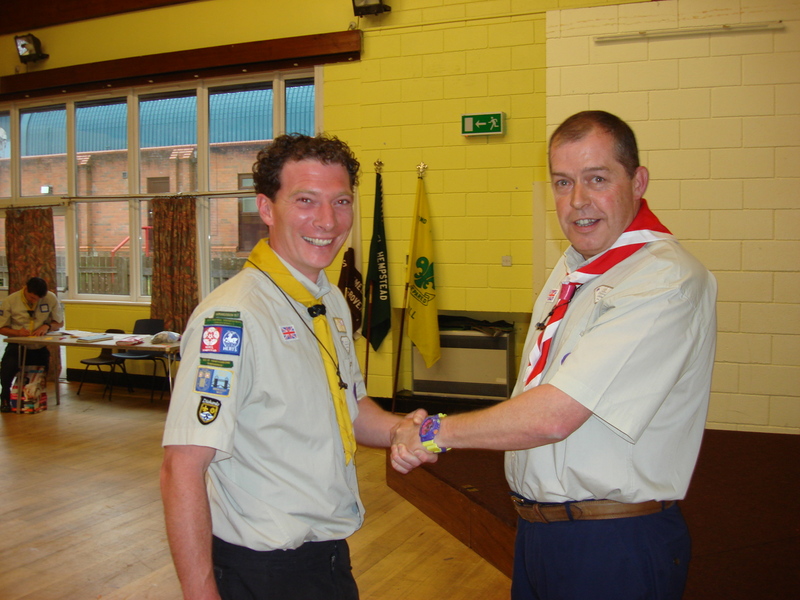 What makes the service special is the way in which the duties have been performed. 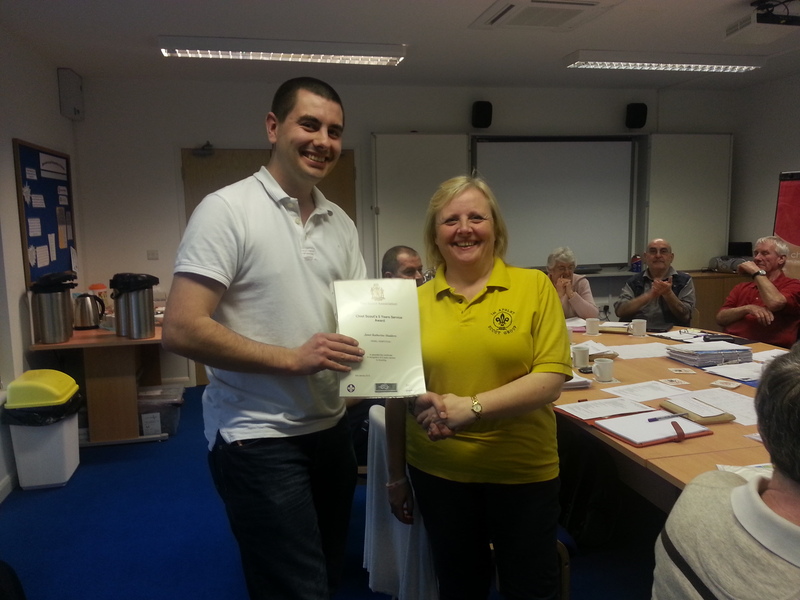 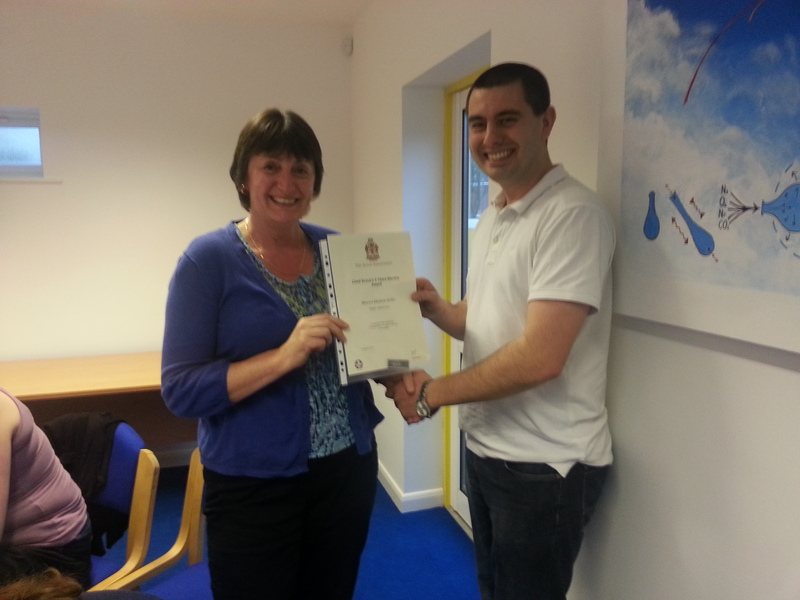 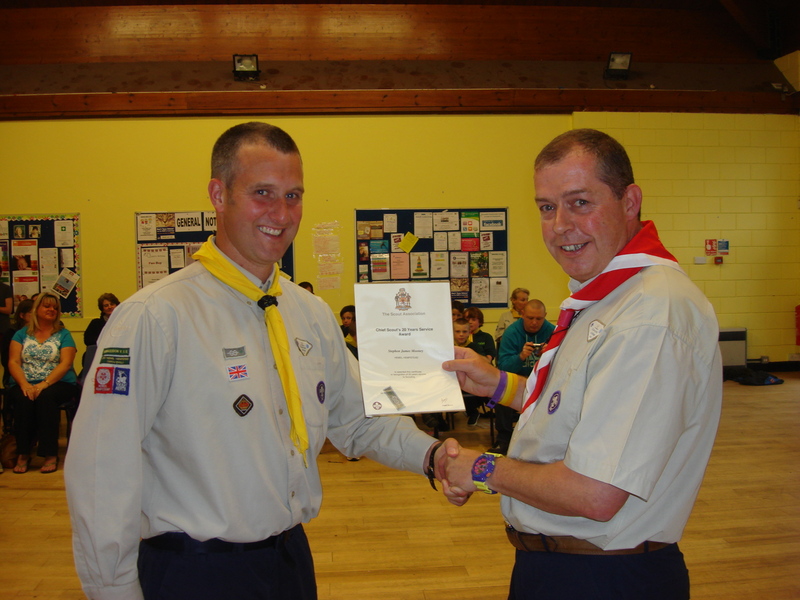 This may mean that, in addition to running a good Section programme, the nominee has, perhaps, given regular good service raising funds for the Group, in the maintenance of a headquarters building or campsite, in the organisation of District events, serving on a campsite service team, editing a newsletter, helping with adult training in the County, and so forth. 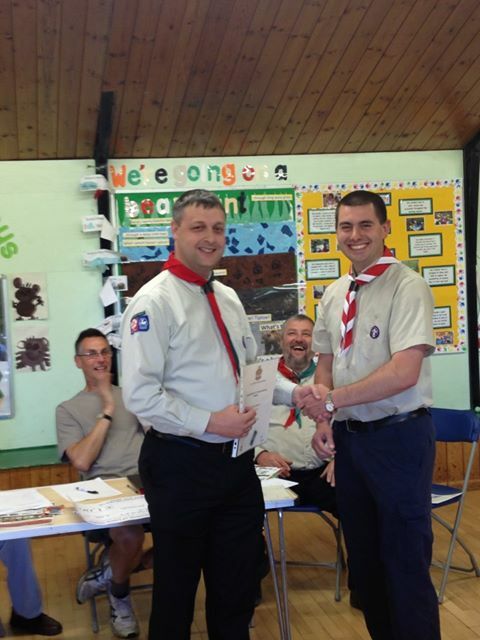 All you need to do is email awards@hemel-scouts.co.uk with the name and a brief reason why they should be nominated… the appointments advisory committee and I will research which award (if any) they are eligible for and write up the citation accordingly. 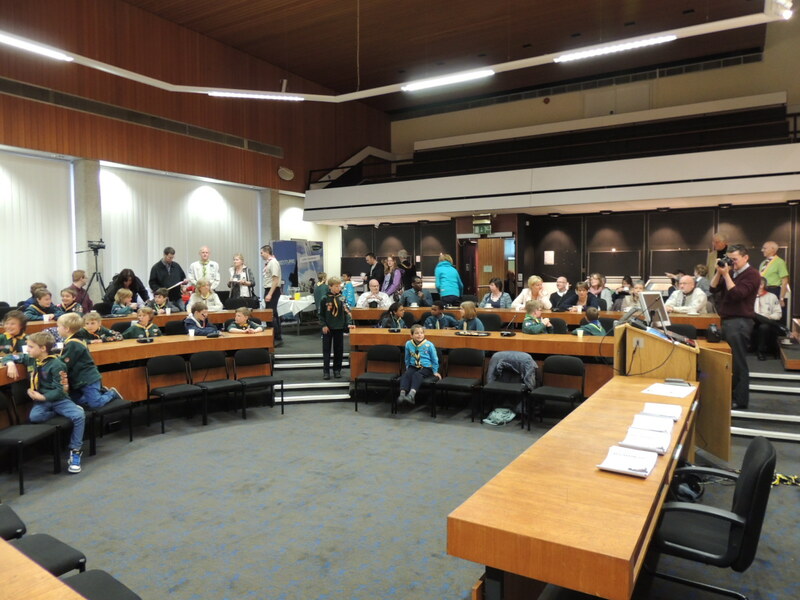 Last night, the achievements of 156 members of Hemel Hempstead district scouts were celebrated at our first awards evening for chief scout award achievers and adults who have receive long service or other national awards from the Chief Scout. 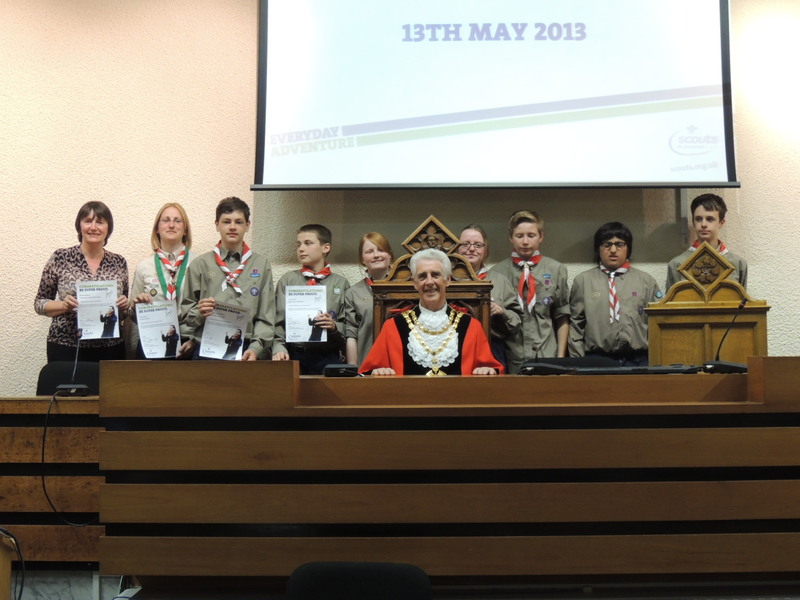 These certificates have all been issued since St. George’s Day 2012. 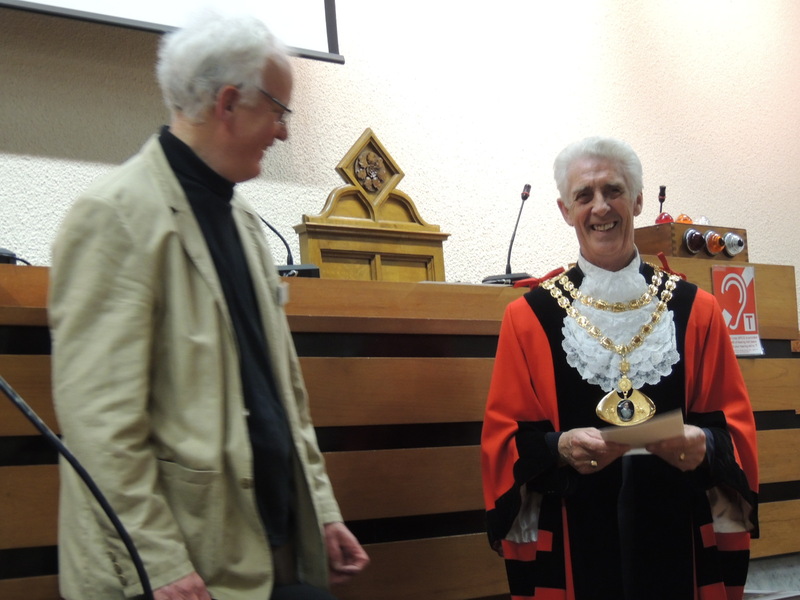 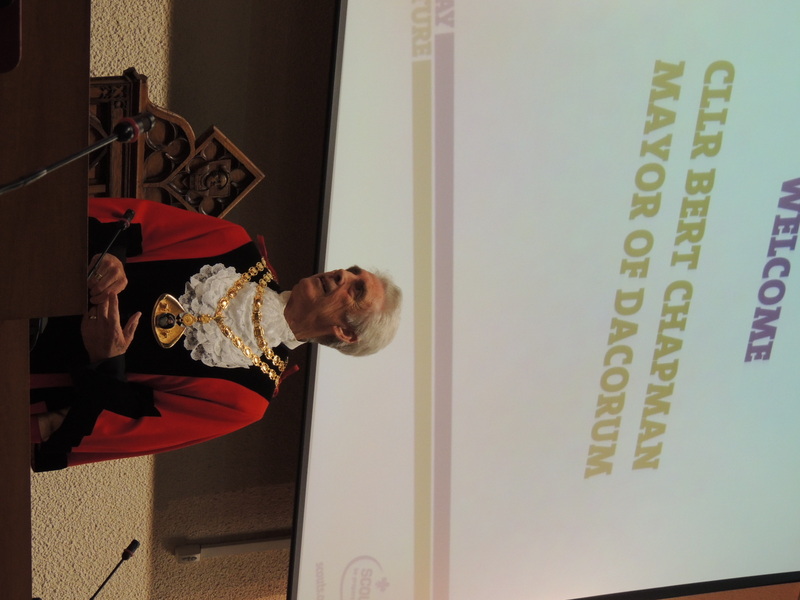 In total over 70 young people and adults came to the celebration, where they received a certificate recognising their achievements from our district president, his worshipful the Mayor of the Borough of Dacorum – Councillor Bert Chapman. 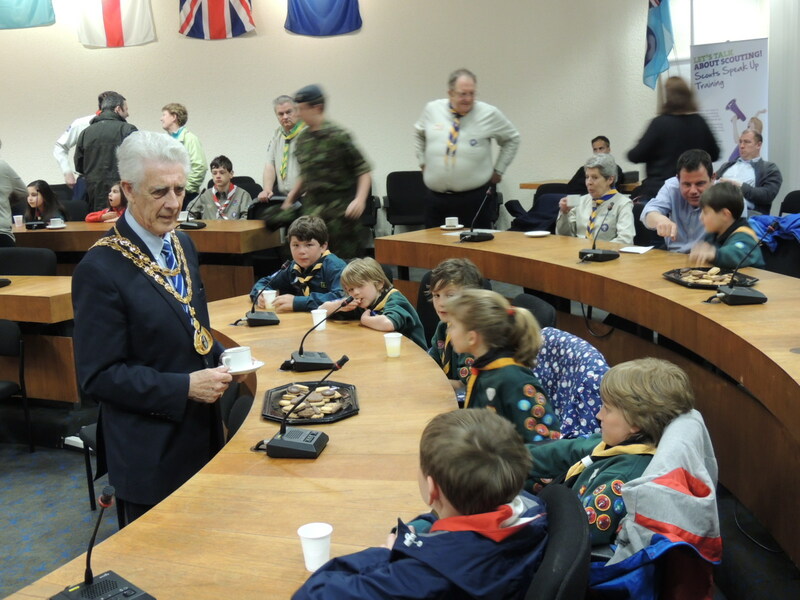 During the evening there were also a number of videos shown so that each young person could see what they had to look forward to in the next section – the Beaver Scouts and Cub Scouts were sat eyes-wide-open and jaws-dropped at the video of the Scouts and Explorers at Winter Camp 2013… what a great advert for moving on when the time comes! 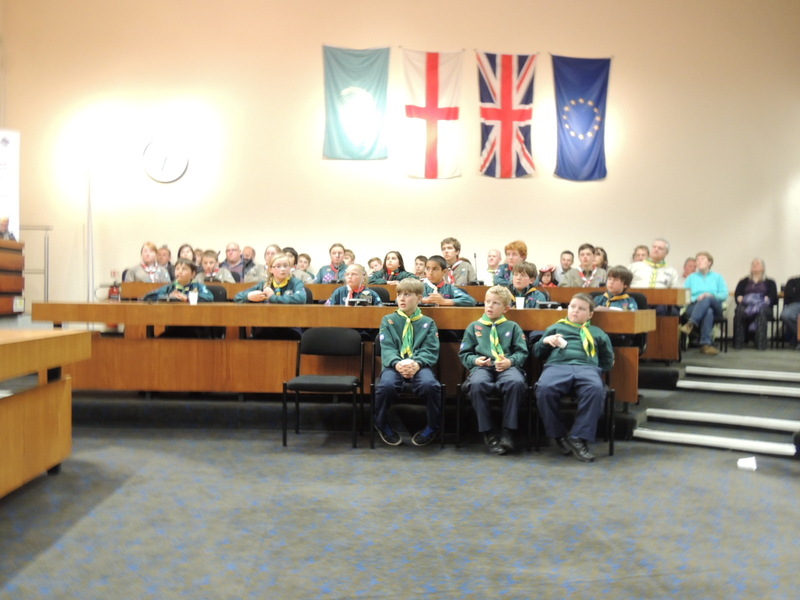 The evening ended with a video message from Chief Scout, Bear Grylls, congratulating all the award recipients and encouraging them to continue their Scouting adventure. 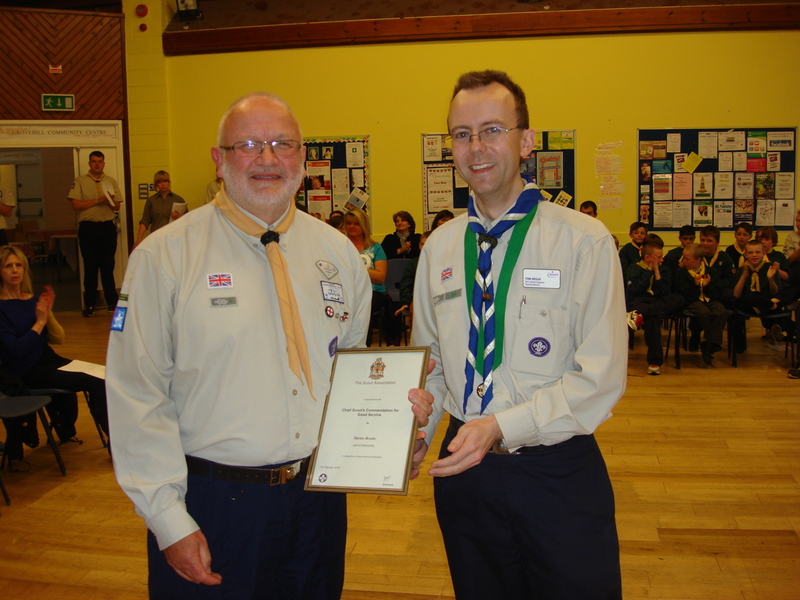 One leader who was there said: “Just wanted to say well done on last night it was so lovely to see so many Beavers Cubs Scouts and Leaders achieve their awards”. 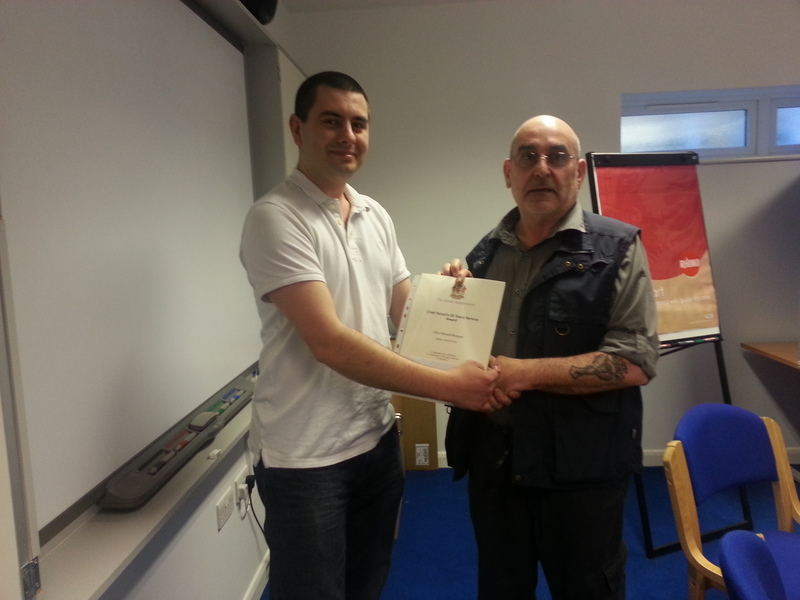 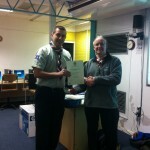 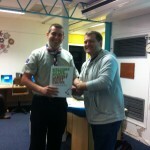 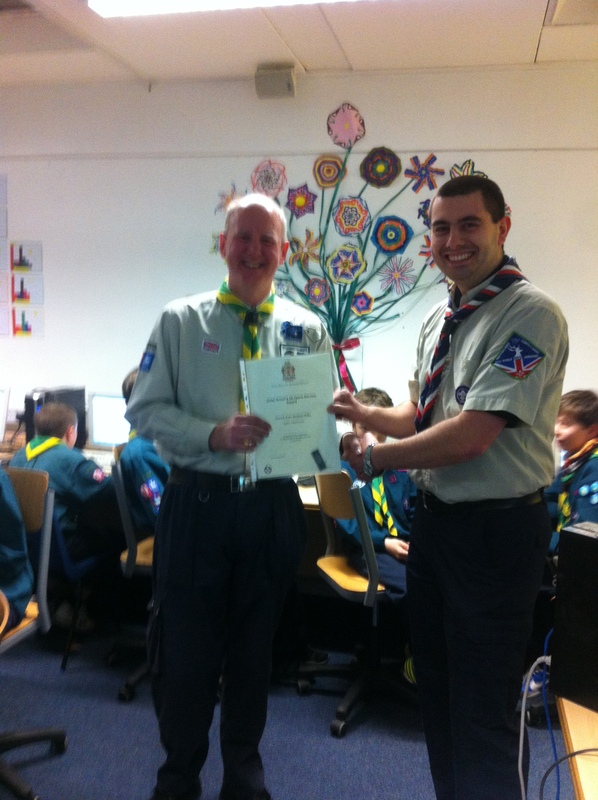 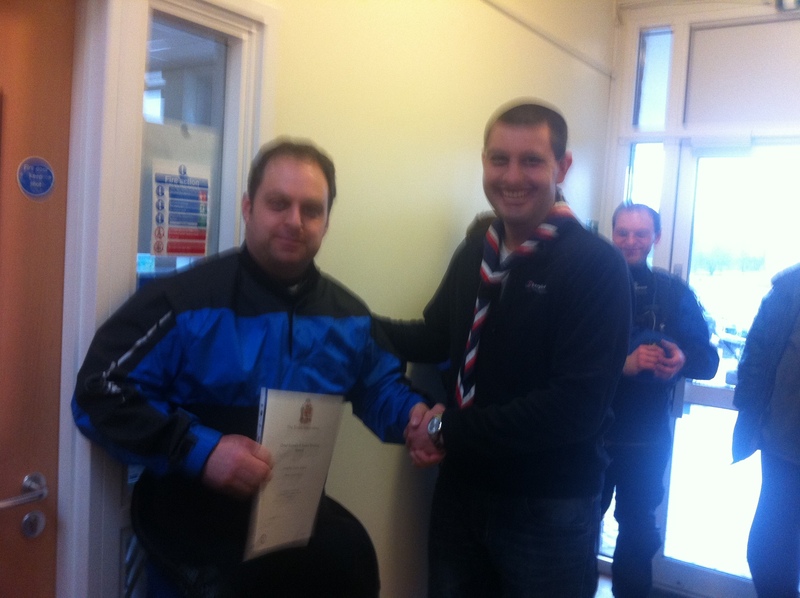 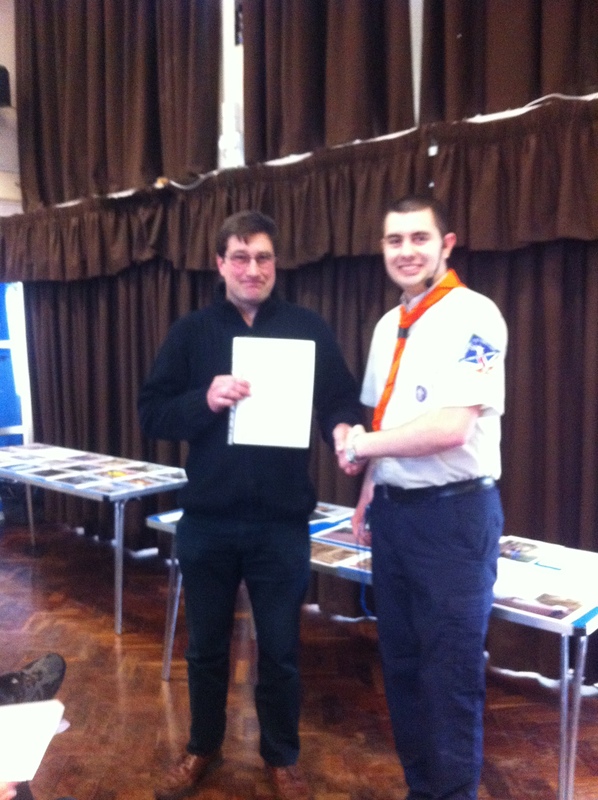 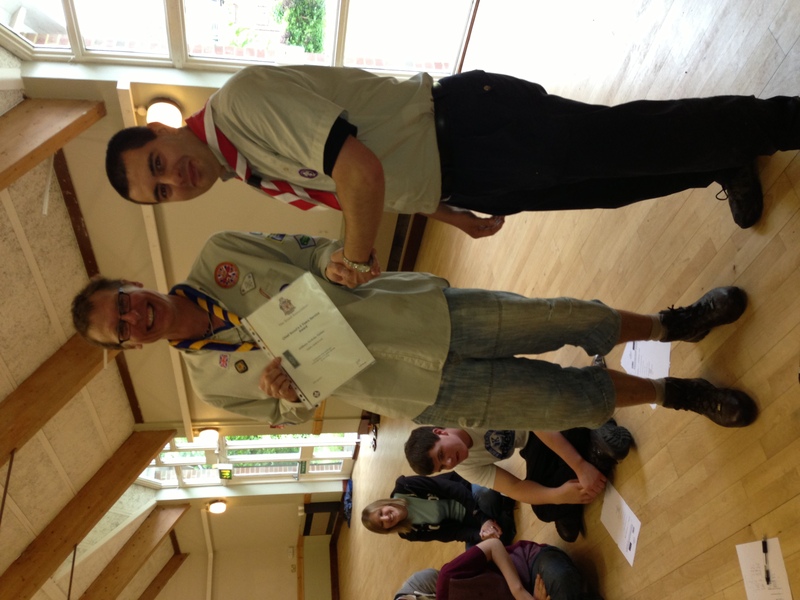 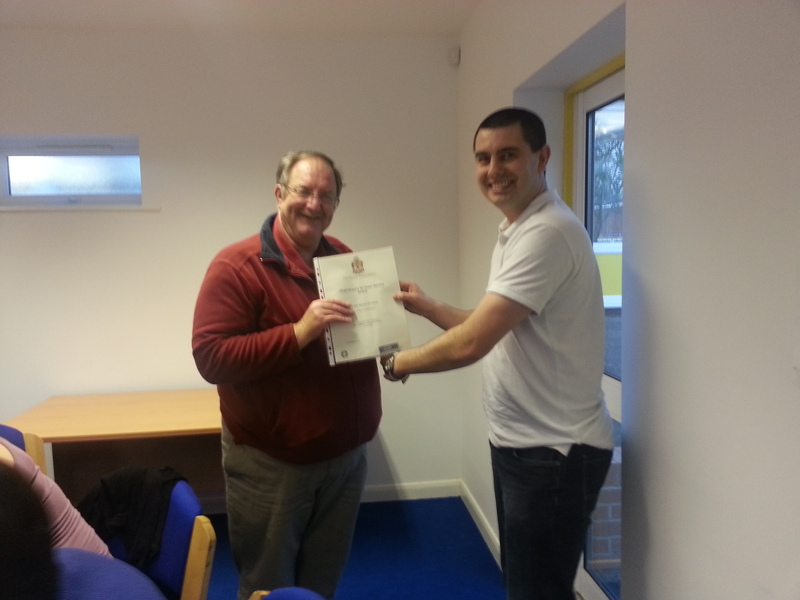 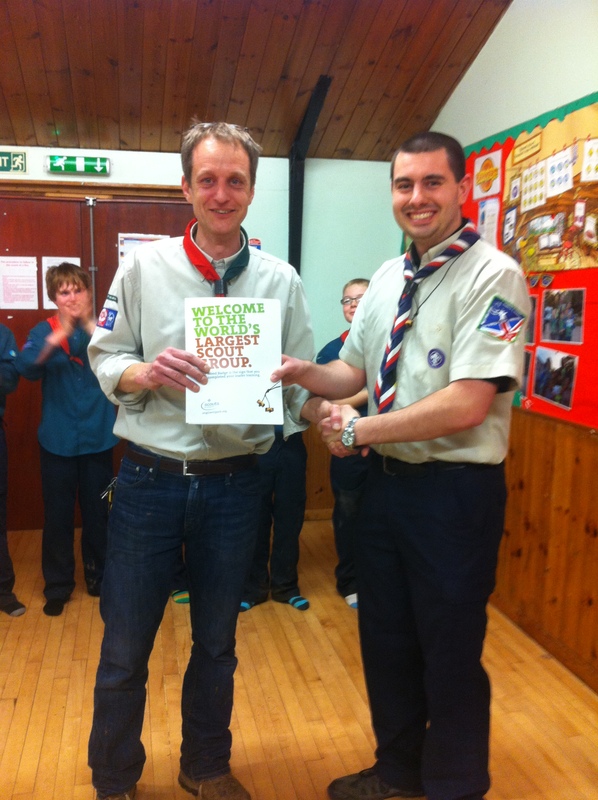 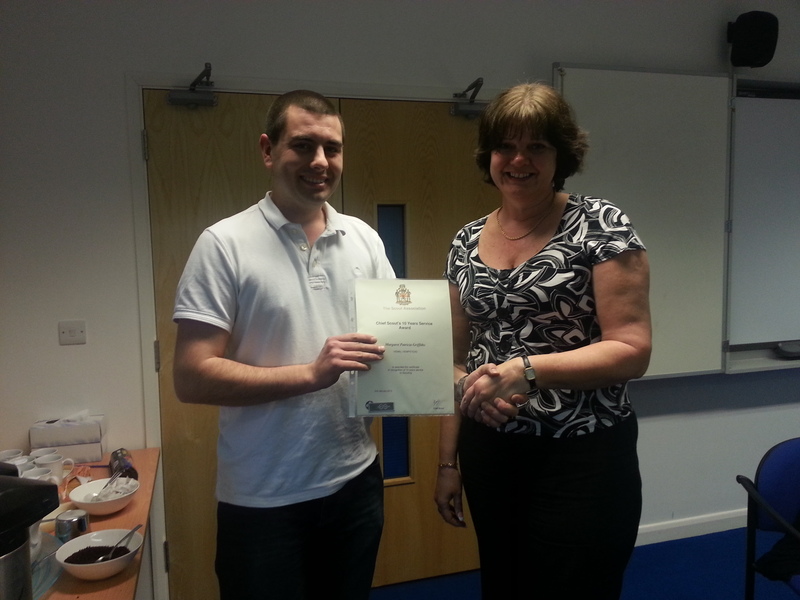 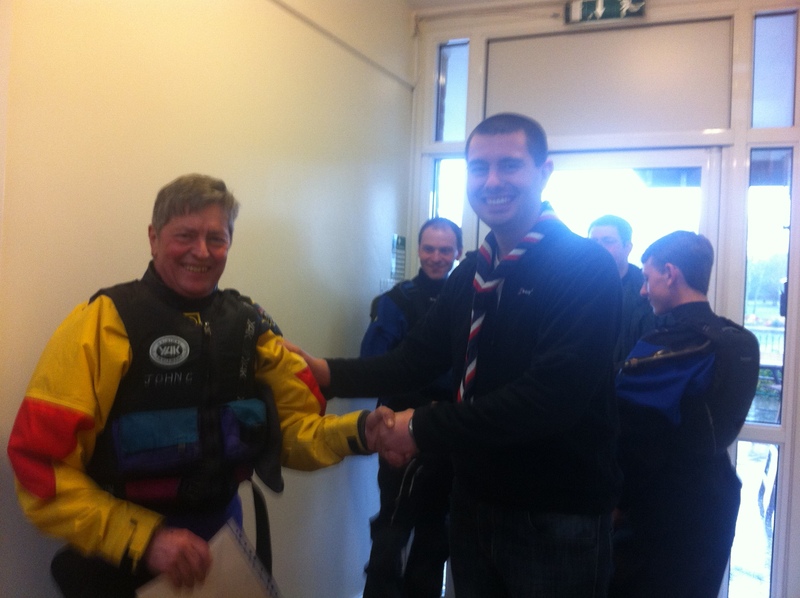 Frank Monnington (Explorer Scouts) – Wood Badge as an Assistant Explorer Scout Leader and 30 years adult service.